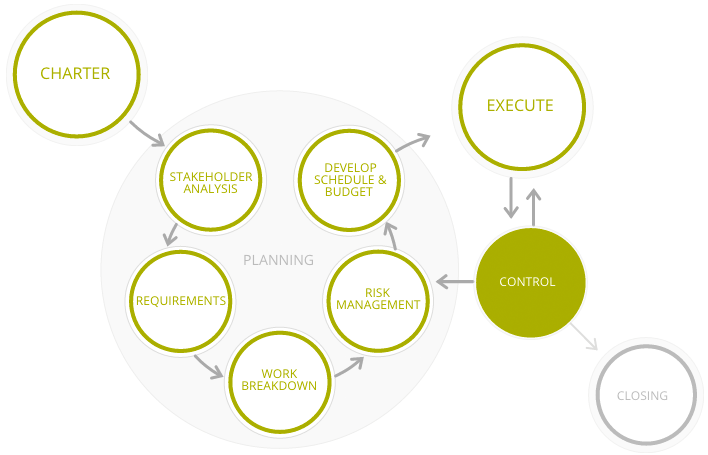 The art, craft, and science of project management. When your team takes on a new initiative, does it come with a twinge of anxiety? Are you concerned that the strategic purpose of your initiative could get lost, or that the investment will be larger than you expect? You want your projects to be successful and so do we. How do we ensure that we achieve success with every project? It has a lot to do with process. 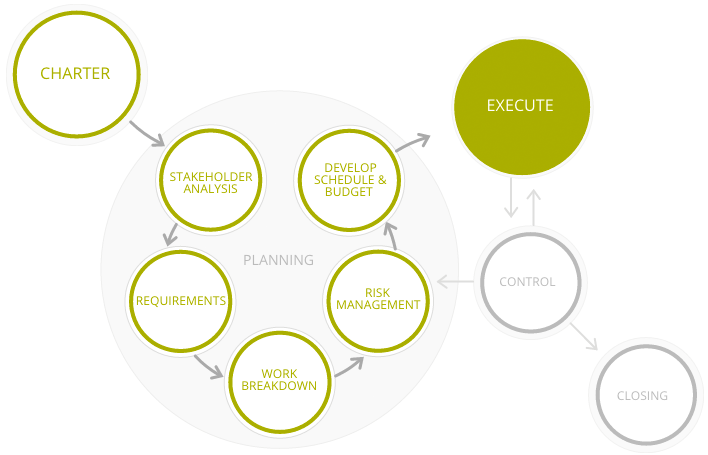 By using a proven nine-step approach and industry best practices, our team consistently delivers great projects. With some practice, your teams can adopt the exact same process and keep your projects headed towards success as well. From market analysis reports to operations centers that house hundreds of employees, we’ve grounded our project management approach in the Project Management Body of Knowledge (PMBOK). It’s the Project Management Institute’s global standard for project management excellence, and the approach defined in PM guru Frank Ryle’s book Keeping Score: Project Management for the Pros. 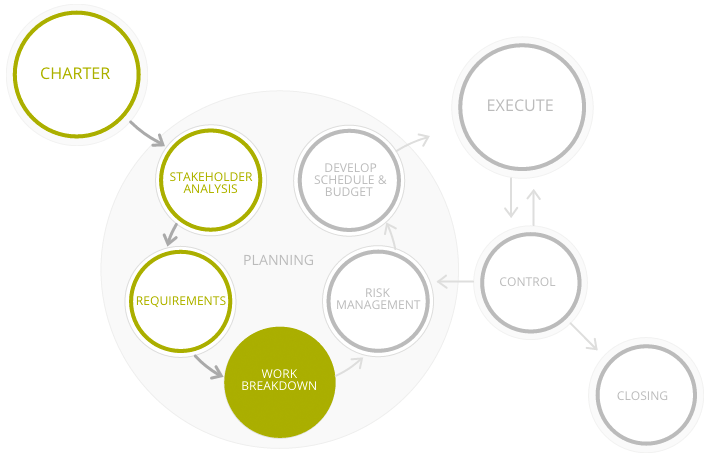 Here’s a glimpse at how we’ve adopted this process and applied it to design-build projects. Can you think of a way such an approach could improve your team’s project execution success rate? Building a strategic road map begins with a clear definition of expected outcomes. We collaborate with our partners to develop a project charter that can engage their organization and serve as a rallying point to get project stakeholders bought-in and working towards a common goal. Together, we consider organizational priorities as well as current trends in the market and industry to explore the realm of possibility and help the organization align their big ideas with their objectives for the project. This becomes the guiding purpose for the project, the Charter, and it helps the entire team focus on driving results at every project stage. 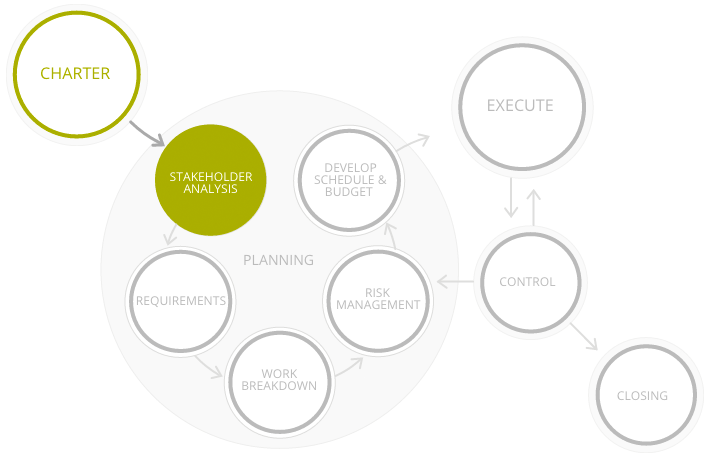 Every project, big or small, has Stakeholders. These are the people in the organization who have influence over or are impacted by the project. 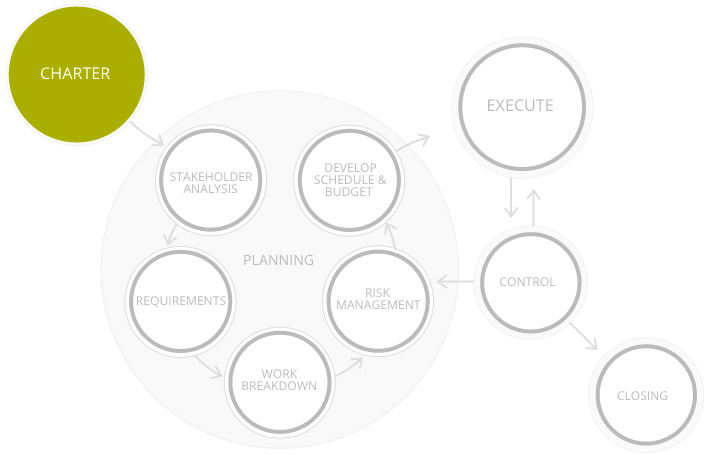 We help identify them and integrate them into the team through a stakeholder management plan. Its best to do this at an early stage where their contributions have the biggest impact on project success and their influence can build excitement and momentum around the project. Forgetting to include a key stakeholder, and thus, their requirements, is a common reason for project delays and expensive re-work. A clear set of requirements is necessary to guide your project and create a tangible definition of success. Early on in a project, we take our partners through a collaborative project alignment session. Here, our team challenges stakeholders to explore new possibilities for not only their facility project, but also for what their entire organization can attain through the project. We facilitate a dialog around the way each element of the facility’s design impacts the team’s staff and customers, and how these elements embody the organization’s culture and sustain higher performance. Through this discussion, the team begins to understand which characteristics or requirements will be necessary for the project to be successful, which elements could contribute to success but need further development, and what isn’t really necessary to make the project work well. This step brings the strategic charter one step closer to the ground, and it gives the team a checklist to follow throughout the project. This process helps validate that requirements are met, and at the same time helps keep “wish-lists” from growing unchecked. 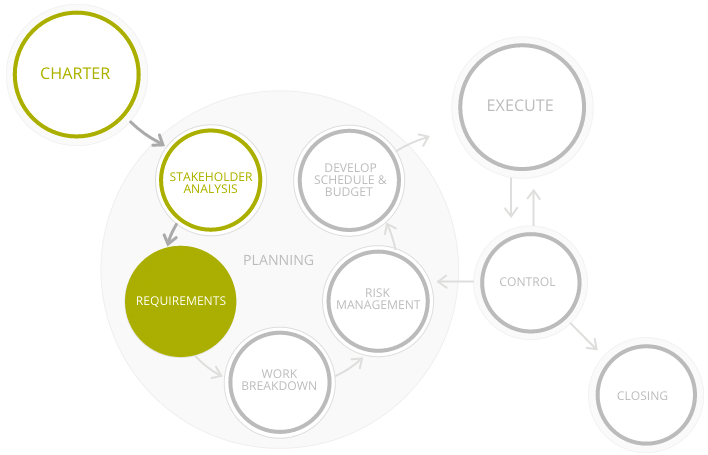 Requirements translate into necessary work for our team members and partners. Clearly understanding what tasks need to be done and how long they’ll take is critical to understanding how much effort will go in to a project. Our team helps build a comprehensive inventory of the work to make sure that everyone’s commitments are accurate, and that team members have the resources needed to deliver their end of the project. Here we try to understand not just our internal work, but the effort our partners will need to contribute as well. This step is critical to developing an accurate delivery schedule and budget in Step 6. Risk exists on every project. The question is, have we accounted for the risks and planned accordingly? 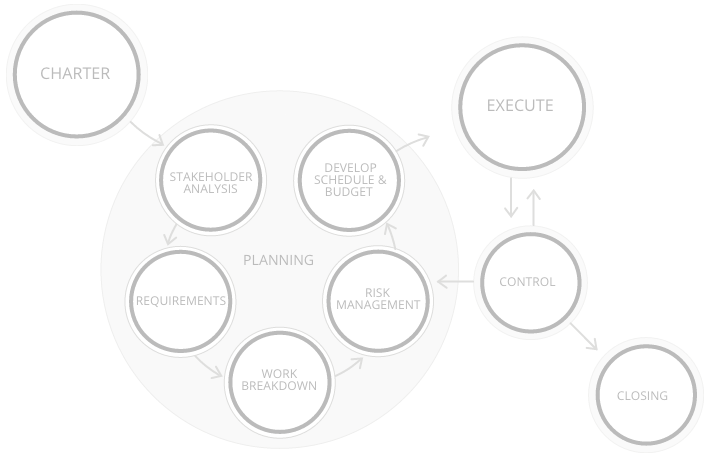 With a detailed inventory of work, we assess risk and develop a plan to effectively manage it. Our design-build team is diligent about the use of metrics, documentation, and quality assurance measures to understand the risk we face and control it. How long will it take and how much will it cost? We use the detailed inventory of work that we’ve built up during the previous steps to put together an accurate schedule and budget estimate. But we also know that the schedule and budget will evolve as the team continues to develop the project design. That’s why we approach the budget and schedule iteratively – making sure we know the impact that design choices have on the final cost and timeline. The further along a project, the more difficult and expensive it is to make changes. This is why we focus so much of our attention on gathering stakeholder requirements early in the project. 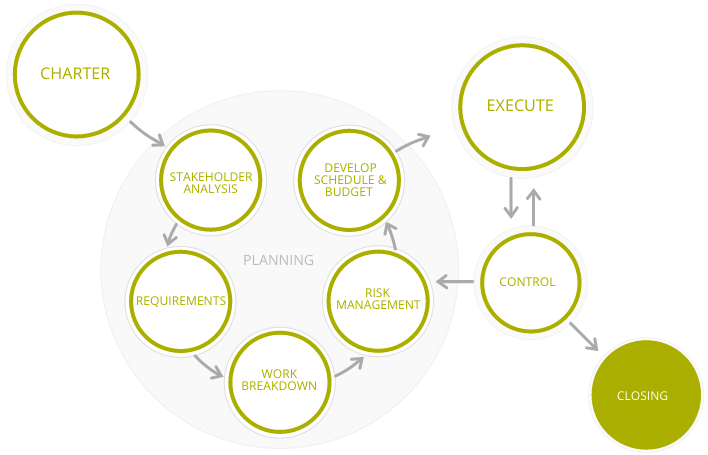 Following through on a plan can be even more challenging than putting the plan together, but our project managers and site superintendents use a proven process and the latest cloud-based project management and site monitoring technology to ensure that every stakeholder requirement is met and no detail falls through the cracks. For our team, execution can be quite complex and involves standardized processes around everything from reviewing architectural drawings and collecting subcontractor bids to commissioning a new building. Surprises and opportunities come up in projects, so we use a feedback loop that is continuously weighed against the project design directives. We use our project management software, scheduling, and site monitoring tools to monitor real-time project schedule and budget status. We open these tools up to our partners as well, keeping their team up to date with the project’s status and progress in real time while building trust and confidence through complete transparency. A project isn’t successful until every requirement is met and every task is complete, and our work doesn’t end with the ribbon cutting ceremony. We utilize comprehensive closing checklists, surveys, and interviews with our partner’s team to ensure that we deliver project success. Here we want to validate that the project delivered on its strategic objectives, and we also want to document what went well and what could improve in the project delivery process. This helps our team and our partners capitalize on lesson’s learned. 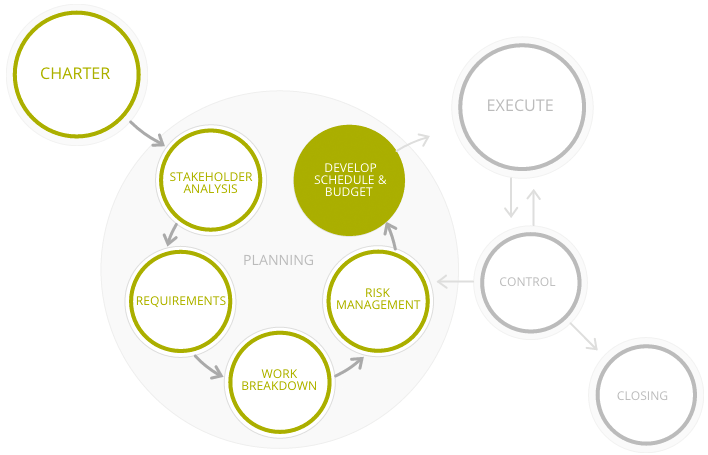 This nine-step process helps us deliver high quality projects effectively. A big part of this magic lies in how each step builds upon the knowledge developed in the previous one. We’ve learned that skipping steps makes successful outcomes harder to achieve, while at the same time, we’ve learned how to circle back to previous steps as a strategy to validate and fine-tune a project. To see an example of this process in action, read about how we helped HAPO Community Credit Union deliver the first WELL Certified credit union branch in the world!